To be fair, it's been a couple years since I've seen him in the news.. I guess the muscle cravings got too much for him! 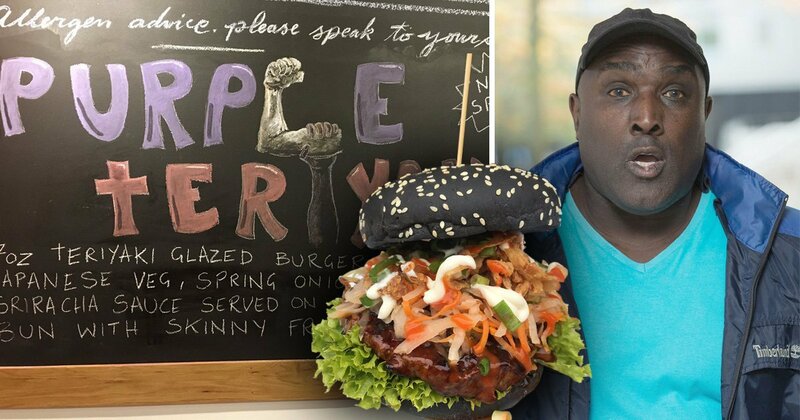 crowd fund to open Purple Aki a gym? I get that - I just never equated dark skin times with purple, purples just purple to me! never seen any real person who I thought were verging on looking purple! can some examples be linked?? Due to using roids he used to have terrible acne. The redness of the acne combined with his natural skin colour. He looked purple. I wonder if he still uses the same tape measure after all these years. This is the part where you point on the doll where he touched you. There seem to be a few songs on youtube found about four so far though three of them have swearing in but the below one seems to be safe to post. I always thought that Purple Aki was a myth, cursory tale like the Boogie Man or Bloody Mary, told to young weight lifters by their personal trainers to keep them inline. "If you keep playing up Timmy then I'll send Purple Aki after you, and he'll squeeze your biceps and make you do squats whilst he clings to your back, no no, don't cry, everything will be fine as long as you stop complaining and take your steroids like a good meathead." It turns out that reality is so much more terrifying than fiction......cue the title cards. And that's how my 8 part mini-series "The Colour Purple......Aki" will start. I wonder how many people actually just go up to him and ask him to feel their arms now that they know who he is. Poor guy is probably being handed his dream on a plate and the media ruins him for it. Wasn't that the subject of the documentary? How the hunter had now become the hunted. 20 years ago my brother had him on his shoulders doing squats on bridge street, St Helens, that was a good night out. very true, well worth a watch. No idea who this was but he's so (in)famous that he even had a burger named after him - the Purple Teriyaki! Wanna see that burger now.